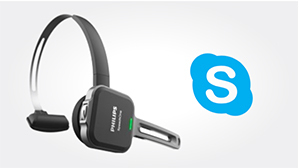 Philips SpeechOne Wireless Dictation Headset PSM6300/00 has been specially designed to match the needs of users who frequently use dictation or speech recognition to create documents. The premium decoupled microphone offers crystal-clear recordings, perfect for accurate transcriptions. Ultra-comfortable and ergonomic design, personalized wearing options and hygienic exchangeable cushions make the headset the perfect work companion in both hospitals and offices alike. The SpeechOne comes equipped with a studio quality microphone and a built in triple-layer noise reduction filter for the clearest audio recordings. Benefit from the ultra-durable, high performance battery which lasts the entire work day. 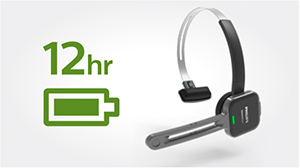 Enjoy 12 hours of none-stop recording and simply connect the SpeechOne via USB when battery runs low. The SpeechOne is padded with three easily exchangeable cushions for comfortable use, and hygiene for shared devices. 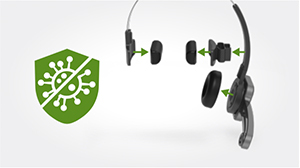 The microphone boom and remote control are crafted from antimicrobial synthetics to protect against bacteria & viruses. The patented lossless audio transmission technology offers a level of quality unattainable by headsets based on Bluetooth or DECT technology. The cutting edge technology ensures that every word is captured from the moment you press record. The SpeechOne ensures comfortable working, even after hours of use. The 360 degree rotating boom arm allows you to wear the microphone on the left or right ear with an consistent, optimal positioning. 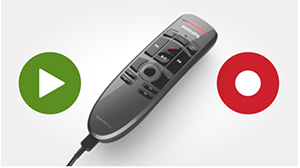 The hand-held remote allows you to conveniently control all recording playback functions. The keys are configurable and can be personalised for any user or application. 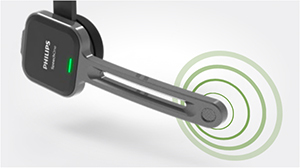 The integrated touch sensor allows the user to navigate within applications while recording. 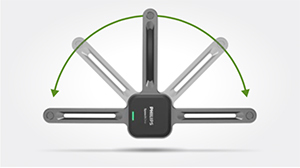 Experience wireless charging and easy pairing between the SpeechOne device and docking station. 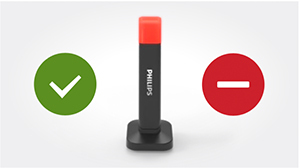 The magnetic mechanism makes docking and charging the device incredibly easy and straightforward. 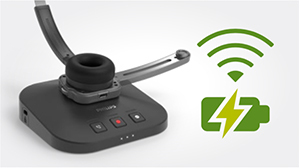 The SpeechOne supports Skype calls so you can comfortable communicate in crystal-clear audio quality, without any additional installations or configurations. 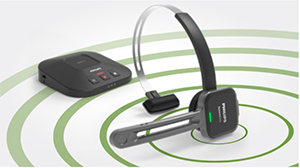 You can accept or reject any incoming calls directly on the headset or on the docking station. Reclaim control over your availability by clearly signifying to colleagues weather you are available or busy using the Status Light. Thanks to the flexible, rotating mounting system the Status Light can be attached to multiple surfaces.